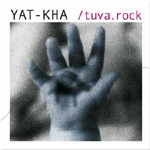 As the title implies, there are moments where this is the most "rock" recording by this contemporary Tuvan ensemble to date, a hard hitting, electric exploration of Tuvan roots and western rock. But just as often it is a gentle, folky and beautiful tribute to the folk music. Possibly their best to date. Stránka vygenerována 22.4.2019 v 21:06:27 za 0.18 sekund.